Is a Nursing Home Overmedicating Your Loved One? Families take loved ones to nursing homes with the expectation that they will receive top-notch, individualized care. Unfortunately, the reality is frequently different. In far too many nursing homes, residents are receiving more medication than a doctor has prescribed, and the results can be devastating. 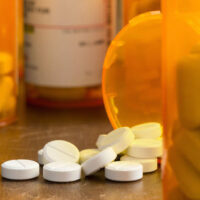 If you suspect overmedication, contact a Daytona Beach nursing home attorney for a free consultation. These changes might have innocent explanations, but you need to investigate further nonetheless. Ask to speak to a nursing home supervisor and request your loved one’s Medication Order sheet. Review the information to see if your loved one is being given more medication than a doctor has prescribed. Not all overmedication is accidental. One type of overmedication deserves special mention—the use of drugs as a form of chemical restraint. In order to deal with unruly residents, some nursing homes will give residents antipsychotic drugs, even when the resident has not been prescribed any by a physician. These drugs put residents in a stupor which makes them easier to handle. Overmedication using antipsychotic drugs has been a problem for years. A 2010 report from the Centers for Medicare and Medicaid found that 17% of residents received more antipsychotic drugs than were prescribed. A separate study found that a whopping 71% of Medicaid residents in Florida were receiving antipsychotic drugs, even though few were taking the drugs before admission. Although overuse of antipsychotics has receded somewhat in recent years, it still remains a problem. Concerned family members should review the Medication Order sheet and ask why a drug has been given if it doesn’t look familiar. Common antipsychotic drugs include Risperdal, Seroquel, Zyprexa, Abilify, Symbyax, and Geodon. Negligence. If staff overmedicate because they are careless, this carelessness might qualify as negligence. Battery. When nursing home staff intentionally overmedicate your loved one without permission, they have committed battery. Negligent hiring. The nursing home might be responsible if they hired staff without performing necessary background checks. Negligent supervision. The nursing home might be careless in how it oversees its facility. If so, they might be legally responsible for your loved one’s injuries. Reimbursement of medical expenses to help treat the overmedication and any other injury, such as broken bones. Compensation for your loved one’s physical pain and suffering as well as mental anguish. Punitive damages, if the nursing home’s conduct was intentional or reckless. When nursing homes betray our trust, they should be held legally responsible for the injuries they cause. Injured residents and their families do not need to suffer in silence. Contact Bundza & Rodriguez for a free consultation today.